The Cancerian's spend their leisure time either by totally relaxing at home with children and pets or they work hard in upgrading the home. What ever are their activities in the leisure time the Cancerians will be dedicated and enjoy it to the maximum. Otherwise they enjoy it anywhere near the water either beside a river, lake or a sea. 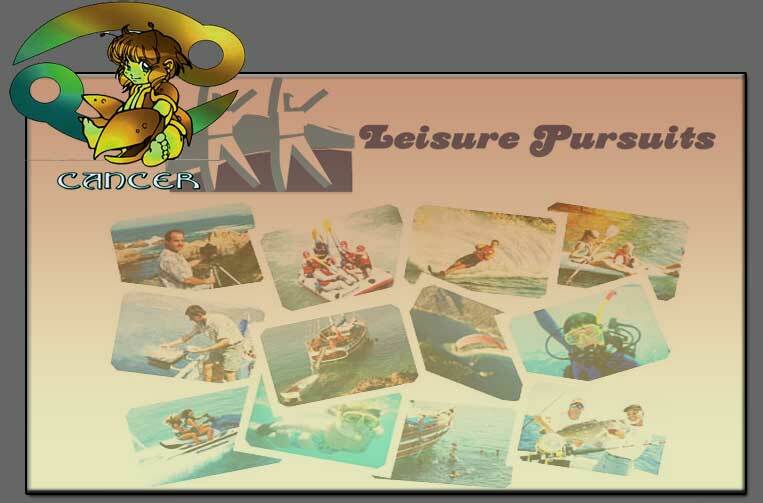 They also like to take part in a water sports like rowing, boating, swimming or fishing. They also like to go into collections of things which talks about history, like photography, stamps, coins, books and even antique furniture.Cancerians like to cook and eat on their own during holidays and leisure time. The females of this sign enjoy knitting and embroidery. They love to listen to music and to the birds sound.